Tubes are key components in experiments. Tubes are used to prepare and perform reactions, and to store the final reaction product. Tubes should be of a trustworthy quality, durable, consistent, and stable. BIOplastics tubes are manufactured under strict quality controlled conditions. The design ensures smooth inner surfaces, easy closure and reproducible results. 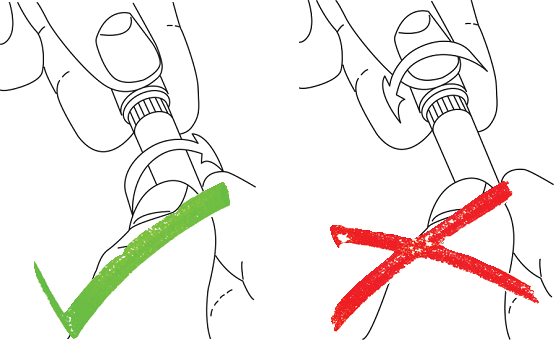 Most tubes are made of PP unless otherwise indicated. Depending on type and model, BIOplastics tubes can be frozen down to -200 °C and heated up to 100 °C. Tubes with special features can be found in the relevant chapters. BIOplastics Screw Cap Tubes are an excellent means of storage. They are made of polypropylene, with frosted writing areas and with a plain, homogeneous surface inside. 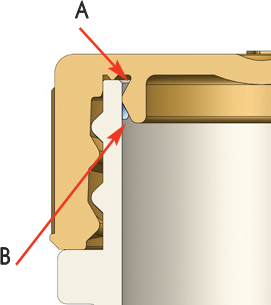 Screw Cap Tubes are categorized into three different volumes: 0.5 ml, 1.5 ml and 2.0 ml. Screw Cap Tubes are available as conical or free standing and sterile as well as non-sterile. The screw cap tubes have a working range of -200°C to 110°C and can be centrifuged up to 20,000 g.
BIOplastics recently introduced a new innovative product, Screw Cap Tubes with Smart Secure Closure Technology, which results in superior Screw Cap Tubes. 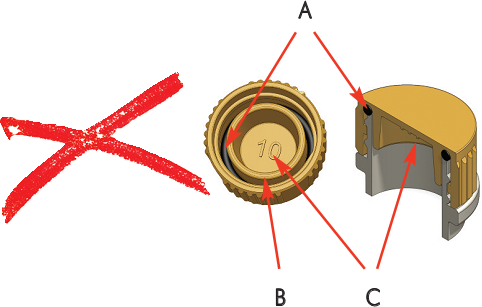 The screw caps are designed in a way that the use of “old fashioned” rubber rings has become obsolete since its performance is superior, when compared to regular screw cap tubes. The absence of a rubber ring assures that the closure is not affected when in contact with organic solvents nor that leakage occurs due to hardening and unbalanced shrinkage caused by low and high temperatures and pressure. The new Smart secure closure design allows frequent opening and closing, even in extreme conditions, without compromising the closure and avoiding leakage. The marketplace uses natural colored screw cap tubes with colored caps. In some cases screw cap tubes are used with the caps attached to the tubes to prevent contamination of similar tubes by means of mixing up caps. 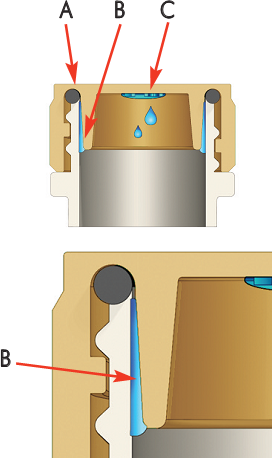 However pipetting with an attached lid is not optimal since the spacing of tubes, the overall footprint, and the chance of touching the inner part of the cap are all major drawbacks. To overcome these drawback and prevent cross contamination, we have not only colored our screw caps but also offer screw cap tubes in 10 different colors. BIOplastics is the first company in the world offering COLORED SCREW CAP TUBES AND COLORED SCREW CAPS which enable not only a wide variety of color coded combinations (colored tube and colored cap) but also significantly reduces the chance of cross contamination caused by mixing up incorrect colored cap to tube closure. Tube and cap facts. Why and how it works better for you. Screw caps for screw cap tubes are offered in two selectable versions: The regular Secure Closure and the new Easy Closure Screw Cap. For robust applications such as long term storage: ≥ 3 years below - 80 °C or incubation at ≥ 95 °C for ≥ 2 hours, one should opt for the regular Secure Closure Caps. For less robust applications: ≤ 3 years higher than -80 °C or less stringent incubation ≤ 100 °C ≤ 1.5 hours, one can opt for the Easy Closure Cap. 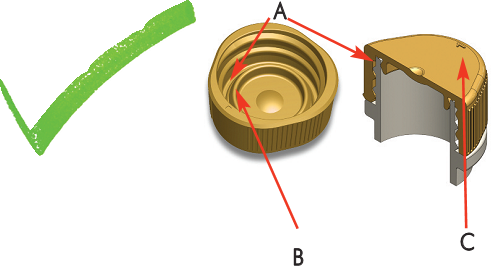 Both types of caps incorporate BIOplastics’ non leaking Smart Closure Cap Technology. The Easy Closure Cap is produced from a completely different material. All types of screw caps and screw tubes are offered in 10 different colors, DNase. RNase, Pyrogen, Metal and ATP free. SCREW THE TUBE TO THE CAP instead of the cap to the tube!